Want to know the best advice I’ve ever been given? Spend five minutes every day reading something inspiring. That suggestion came from one of my mentors, and I took it to heart when I was a young woman in my twenties. It’s no exaggeration to say that that one, simple habit literally changed my life. Welcome to our ninth “chapter” in 31 Days to a More Productive You! Today we’re unpacking another habit of productivity, and, you guessed it… we’re going to talk about reading. Now, if you’re not an avid reader- or maybe you even hate to read– please don’t fall off the band wagon yet! 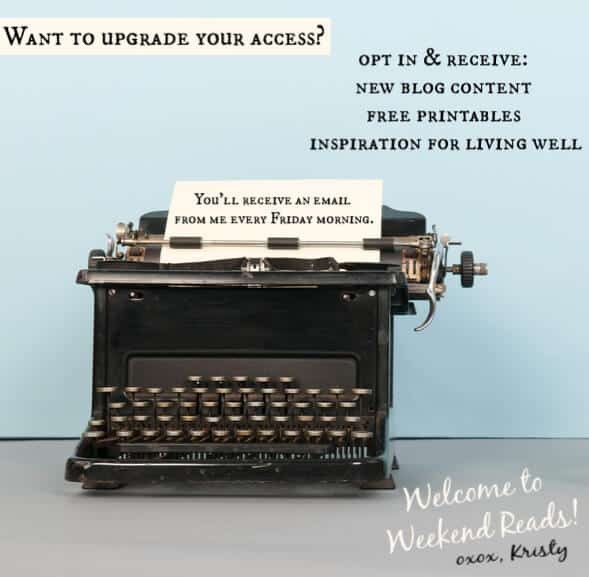 I’ve got some things I really want to share with you, and I think you’ll be glad you stuck around! If you missed the previous posts in this series, you can catch thing I’ve written so far here. 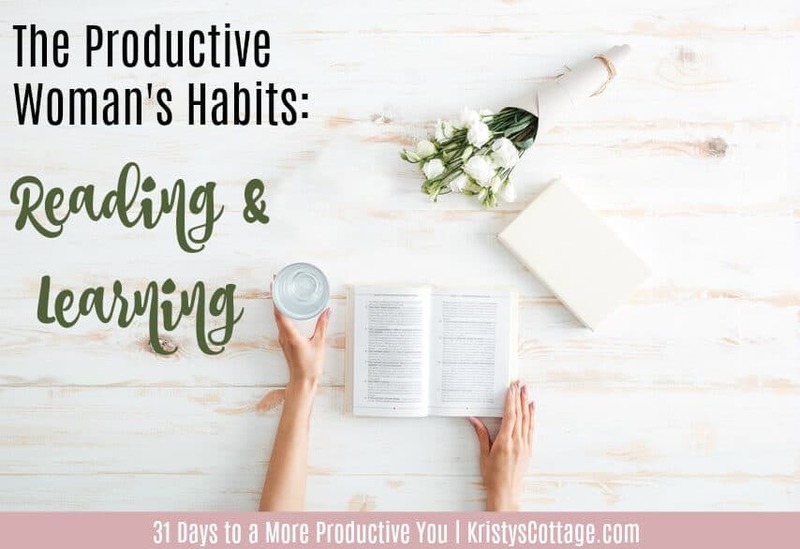 So let’s get to this habit of reading- and learning– and find out what it has to do with living well as a productive woman. So what does reading have to do with being productive? 8 Science-Backed Reasons to Read a (Real) Book explores the benefits a little deeper. A study by Sussex University researchers in 2009 showed that reading may reduce stress by as much as 68 percent. Reading regularly improves memory function by giving your brain a good work out. Those who who engage their brains through activities such as reading, chess, or puzzles could be 2.5 times less likely to develop Alzheimer’s disease than those who spend their down time on less stimulating activities. More than 40 percent of frequent readers ages six through 10 were read to out loud at home. Children’s books expose kids to 50 percent more words than prime time TV. If you’re interested in another read about reading, check out this article at Psychology Today: Reading Fiction Improves Brain Connectivity and Function. Aside from the obvious mental and health benefits of regular reading, I want to share a few person benefits from reading. So much of life leans toward the mundane. Most of us do the same things over and over again, day after day, year after year. What keeps the four walls of your home- or office or classroom– from becoming the short-sighted horizons of your life? Reading is what pushes back the horizons for me. Books like these feed my mind with information, encourage my heart, and stimulate my thinking processes. For me, reading is a really important part of self-care. —–> The habit of reading regularly engages my brain and keeps my mindset dynamic… even if much of the routine of my life settles into the mundane. For Jeremy, reading is more of a discipline than a past time. He seeks out new reading material because he knows it makes him a better man and a better pastor. But he doesn’t really love reading for reading’s sake, as I do. Maybe you feel that way too, and that’s okay. But it’s no excuse to never open the covers of a book. Someone in your life- even besides you– will most certainly suffer if you fail to spark your imagination with unconventional, unoriginal ideas from time to time. 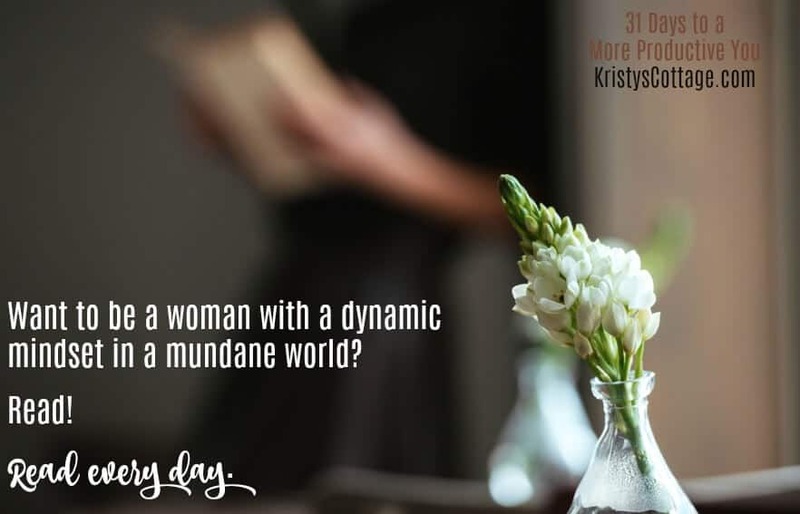 If you’re a mom, a teacher, a pastor’s wife, a women’s leader, an employer, business owner, photographer or just about anything else- you need fresh ideas. As a young woman, reading introduced me to so many new and exciting concepts: the world of herbs and natural remedies; how to make, save, and manage money; understanding the body and how it works; childbirth; health; whole foods, and so much more. Sometimes I wonder where I’d be today if I hadn’t cultivated this habit of reading and learning on a regular basis? Thankfully, I don’t have to find out. —–> Don’t waste the season of life you’re in right now… make it dynamic, and enrich your mind with fresh ideas as often as possible. As a teenager, I read dozens of missionary biographies. Those stories of real people, living for God through real life, shaped my concepts of the life I wanted to create. I’m pretty sure those stories fueled the passion for ministry that still burn in my heart today. As a young wife and mom, my reading material began to shift with the seasons of my life. 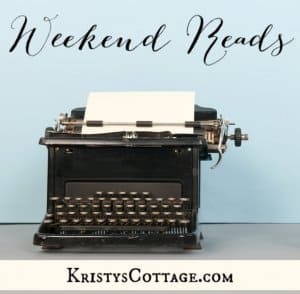 I began to read books by women like Nancy Leigh Demoss (who taught me how to choose gratitude) and Sally Clarkson (who taught me about joy, and how to really own my life). Or men like Clay Clarkson (who deeply impacted my perspective of Biblical parenting and heartfelt discipline) and Emmerson Egggerichs (who taught me all about love and respect in my marriage and family). —–> Accepting and applying what I read continues to change me in profound ways. This is part of the work of grace and sanctification in our lives as Christians. But the growth can never happen if we do not intentionally enrich our minds and souls with sound, Biblical reading. What if reading isn’t my learning style? I have at least two audio learners in my household, so I really “get” that everyone doesn’t retain information or ideas best by reading a book. If you’re more of an audio learner than a reader, I encourage you to use other tools for learning and growing. Thanks to the world of technology, everyone has lots of options (and no excuses!). I’m not a huge fan of audio- since I adore “real” books to distraction– so my list here might be a bit limited. I hope it will get you off to a good start though. Please feel free to share your favorite podcasts, audio books, etc, in the comments below. This is Amazon’s “library” of audio books. Since two of my kids are dyslexic and prefer to listen rather than to read, our family has a monthly subscription to Audible. With our subscription, we can download audio books for free every month; my 9-year old son, especially, enjoys listening to history books on his tablet. You can find other audio books to borrow or purchase, but Audible is the best resource I’ve found. I will confess: I listen to ONE podcast every week, and that is Sally Clarkson’s At Home With Sally. 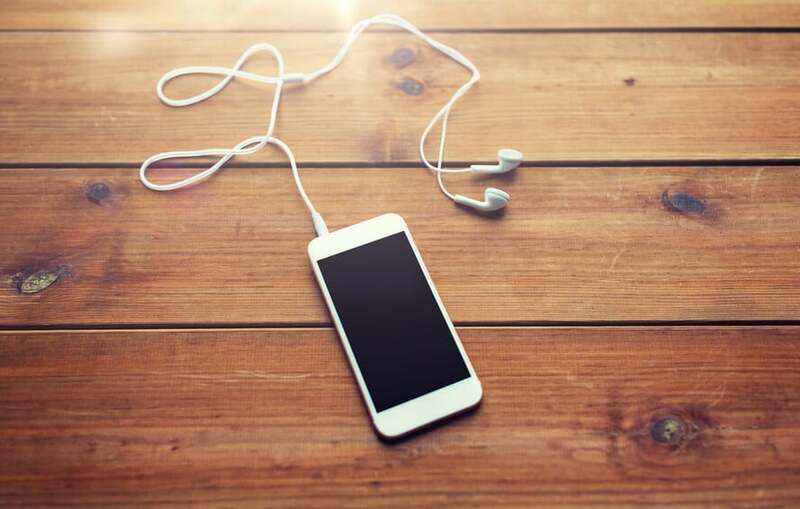 My fellow blogger, Marci, has compiled a great list of podcasts for Christian women. 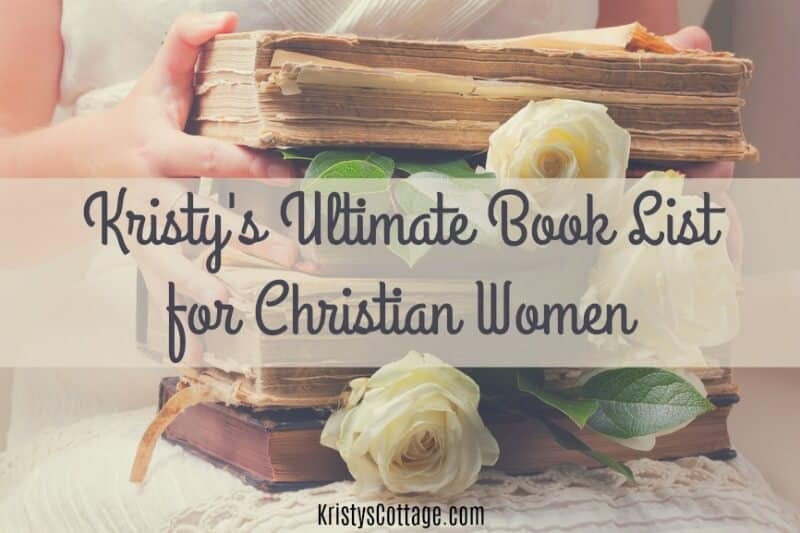 For my fellow book worms, I’ve compiled a pretty exhaustive list of my favorite books for Christian women. These are all books I’ve read and loved over the years. I’ve compiled sub-lists within this “ultimate” list, so check it out if you’re looking for devotional books, information about whole foods or healthy living, marriage, parenting, or other topics. I hope today’s “chapter” has encouraged you to be intentional about learning. If you love to read, make it a habit to crack a book on a regular basis. If you don’t love books, please do cultivate a love for learning! Tune into inspiring podcasts every chance you get. Whatever your avenue of learning, be a woman who is always enriching her soul with good things. Thanks for reading and commenting, Sheila! I love of those podcasts too… Set Apart Girl, by Leslie Ludy, is such a great resource for young women. I’m glad you mentioned it!